The X is the phone for a world where pricing isn’t an obstacle for users who simply want the latest and best of everything packed into one device. It’s at once fan service as the phone hits a big milestone and a tactic acknowledging that we’ve crossed a threshold into a world of truly premium flagships where a $999 price tag is, for many, an afterthought. It’s not the iPhone for everyone. Tim Cook happily acknowledged as much onstage when he debuted the 8 and 8 Plus, which, to many onlookers were the 7 and 7s in everything but name. The iPhone X finds Apple accelerating toward technologies it’s clearly been dancing around for a number of years. 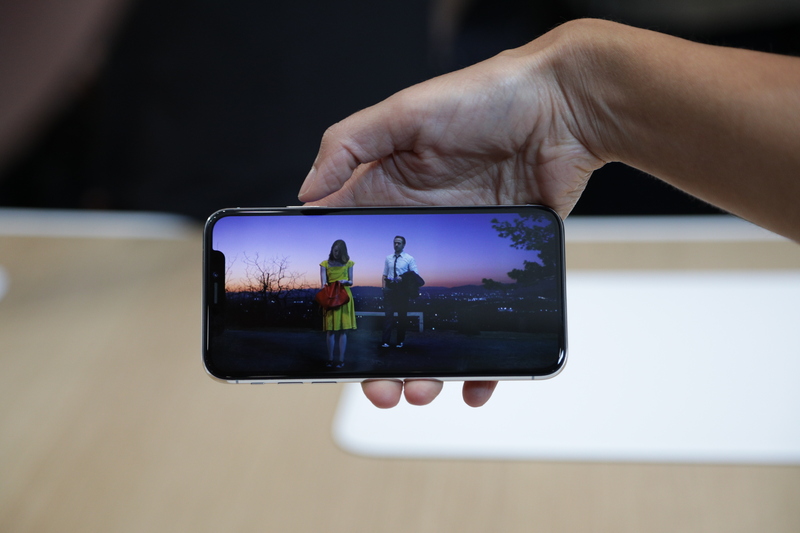 The display is OLED — something the company calls “Super Retina.” This is Apple’s first play at edge-to-edge, completely ditching the home button in the process. The camera, a cornerstone of Apple’s mobile play, gets upgraded up the wazoo. It’s about more than just switching those dual-rear facing lenses to a vertical orientation, it also means an ultra secure FaceID unlocking feature and a much improved augmented reality experience over even the iPhone 8. In a sense, the company has taken a play out of Samsung’s book with the Note8 line, but this isn’t a business device — it’s a phone for everyone who can afford a phone that’s $1,000. 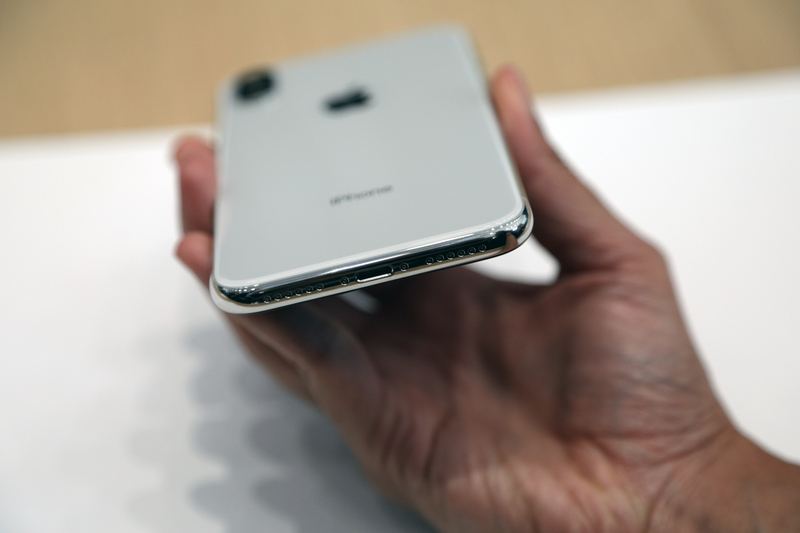 The iPhone X certainly feels premium in-hand. It’s notably beefier than other recent models. That likely owes something to the fact that the battery wasn’t an afterthought this time out. According to the company, you’ll be able to get somewhere in the neighborhood of two hours on top of what your iPhone 7 has been getting you. It’s an impressive feat, given the fact that there’s a lot more stuff working under the hood here, courtesy of things like the new camera system, which boasts dual optical image stabilization. A markedly improved front-facing camera, meanwhile (Portrait Mode selfies for all), means there’s a sizable dead zone up top. The blocked-out area is a sort of no man’s land where the edge-to-edge display goes to die. While the company probably wasn’t psyched about yet another premium flagship entering the U.S. market, it no doubt took some solace in the fact that the Essential helped brace early adopters to the idea. I’ve carried the Essential around for a bit now, and it’s true what Darrell said in his hands-on, you do stop noticing the gap after a while. Perhaps that will take longer given that Apple’s is larger, but the company’s relationship with app developers could mean that programs are tweaked in such a way that really helps ease you in. The X is the best iPhone, no questions, and it’s quickly jumped to the top of the best phones, period. Yeah, it’s going to cost you, but you already knew that.